Early in the breeding season peregrine falcons perch in prominent locations in their territory to show their ownership. Often the male perches prominently and wails to attract his mate. If he doesn’t have a mate, his wails are an advertisement to attract a female to the site. 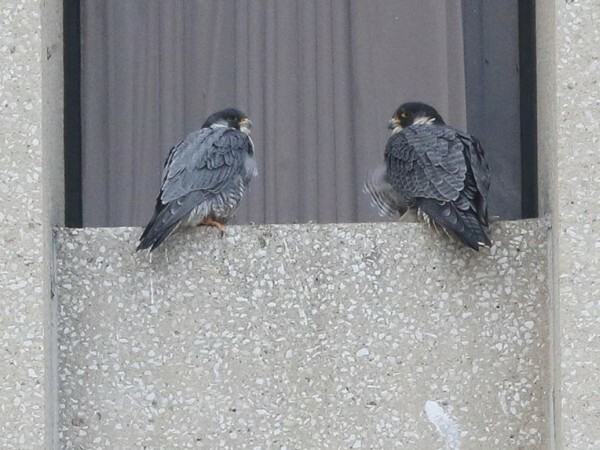 When two peregrines are paired, they perch and roost near each other, perching closer and closer together as egg laying time approaches. That’s what Titan an GG (from Ohio) are doing in the photo above. 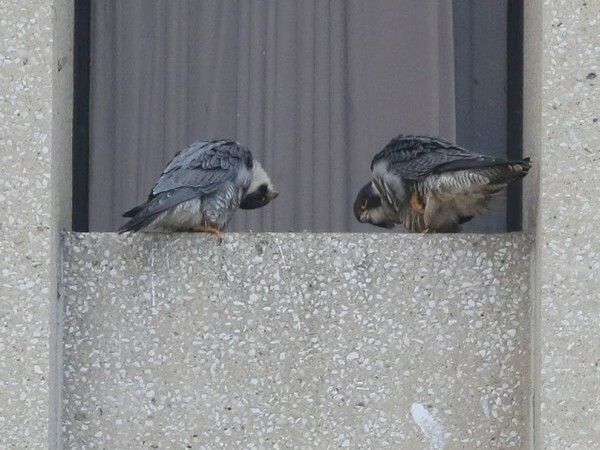 The pair may also turn their heads in a courtship ritual that leads to “billing” or beak touching.